The Sigvaris Compression Stockings available at Healthy Skin Centre are designed to fit every lifestyle. These Compression Stockings help improve your circulation, increase your energy and aid in keeping your legs healthy. At Healthy Skin Centre, we help you determine which Sigvaris compression stocking product is right for you. Sigvaris has been manufacturing quality compression stockings for over 50 years and they were founded with the expert knowledge of a physician. They produce medical grade compression stockings that are both comfortable and fashionable. At Healthy Skin Centre, we are on a mission to improve leg health, and we believe it starts with offering the highest quality compression products on the market. Who can benefit from Sigvaris Compression Stockings? How do Sigvaris Compression Stockings work? Compression stockings work by applying graduated compression along your legs. They are tighter around the ankle and gradually get looser towards your calf and thigh. Compression stockings work by moving blood up the leg, resulting in improved blood returning to the heart (venous return) which helps reduce and treat symptoms of leg fatigue, heaviness, pain as well as prevent varicose veins and DVTs. Compression stockings work by improving your blood flow. At Healthy Skin Centre, we recommend medical-grade compression of 20-30mmHg for optimal comfort and benefits. What kinds of Sigvaris Compression Stockings can I buy? At Healthy Skin Centre, we offer a variety of Sigvaris compression stockings to meet your needs. After a consultation, Dr. Nasseri will determine which length and type of compression stocking is right for you. Compression stockings no longer look like your grandmother’s stockings! They come in variety of colors and patterns so that they can blend in or stand out stylishly with your regular wardrobe. Examples of stockings include: Select Comfort (for daily wear), Soft Opaque (for sensitive skin), Eversheer (for a more sheer stocking), Allure (for a night out), Merino Wool (for outdoor exercise), Cotton (for sensitive skin), Midtown Microfibre (for business men), Traverse (for athletes), etc. We will show you all the different options and help you select the correct size and style depending on your lifestyle needs. Sigvaris global commitment: raise awareness, educate and act to improve the treatment of venous insufficiency. How often should I wear my Sigvaris Compression Stockings? Compression stockings improve your circulation, so the more you wear them the better! We recommend wearing them daily. If you are having sclerotherapy with Dr. Lili Nasseri, she will first do a formal consultation and medical evaluation before determining how many days post sclerotherapy you will need to wear your medical-grade compression stockings. Typically, most varicose vein and spider vein patients must wear stockings one to three weeks post sclerotherapy depending on the size of their varicose veins and the extent of disease. Compression stockings should also be worn during all flights to prevent deep vein blood clots known as DVTs. Athlete’s also wear compression stockings during exercise to improve performance or immediately after exercise, for improved recovery. Are the Sigvaris Medical-Grade Compression Stockings the same as the stockings I buy over the counter? The stockings you can buy over the counter are only 15-20 mmHg of pressure which is generally not sufficient. Moreover, these ‘over the counter’ stockings are usually based on foot size alone and do not take into consideration your leg size, or length, so if your calf is wide then the pressure may be too high, and if your calf is skinny, the compression can be negligible. The cost of over the counter stockings of 15-20 mmgHg are not covered by Extended Health Plans whereas the cost of medical grade stockings of 20-30mmHg are generally covered. How do I know my Sigvaris Compression Stocking size? At Healthy Skin Centre, all of our nurses and skin care consultants are trained to measure patients for the correct size of compression stocking. Dr. Lili Nasseri, will assess you and be able to provide you with the correct prescription based on your lifestyle and needs. How often should I replace my Sigvaris Compression stockings? Sigvaris guarantees the compression of stockings for 6 months with daily wear. Most Extended Health Plans pay for a minimum of 2 pairs of stockings per calendar year, which means a new pair every six months -though most patients typically buy two pairs at the beginning of the year as its simpler that way! Taking good care of your stockings will make them keep their compression longer – that means using specialized gloves to put on your stockings. At Healthy Skin Centre, we provide all our patients with a free pair of Sigvaris Gloves with purchase of Sigvaris compression stockings to ensure that you get the most out of your stockings. Sigvaris also recommends using their special soap to hand wash and prevent damaging the stocking fibers. Sigvaris soap for stockings is available at Healthy Skin Centre for just 3$ a bottle. Are Sigvaris Compression Stockings covered by my Extended Health Plan? Yes, most Extended Health Plans cover the cost of medical-grade compression stockings. Typically, they cover the cost of up to 2 pairs per calendar year, so that you can wash and wear one. The compression stocking strength is guaranteed for up to 6 months to 1 year and for this reason, most plans cover two new pairs per year. In some plans, they are referred to as ‘surgical stockings’ as most people are required to wear compression stockings post surgery. How can I get a pair of Sigvaris Medical-Grade Compression Stockings? 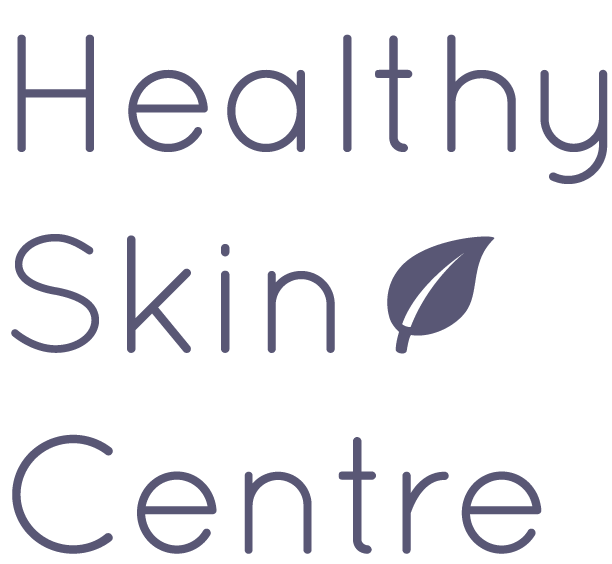 Call us at 604.553.7546 to book an appointment with one of the Healthy Skin Centre nurses or skin care consultants to get measured. We will take care of the rest for you and are happy to answer all your questions in person!